What causes canker sores? You may have noticed that you get canker sores whenever you drink orange juice, lemon aid, or eat certain types of fruit. Some people report that eating a lot of strawberries, or pineapple, contributes to the formation of canker sores. Doctors can't really tell you what causes canker sores, although certain food allergies, hormonal changes, and stress all seem to play a role. Canker sores, also known as aphthous ulcers, may also be a sign of poor nutrition. Acid foods and crunchy foods with sharp edges may help create formations sites for the ulcers. One thing that has helped many people tremendously is tea tree oil. Some people swear by the quick relief found by using tea tree oil to relieve their symptoms. Whenever you feel a canker sore beginning to form, grab your bottle a tea tree oil, and put a drop on your finger or a Q-tip cotton swab. Use that cotton swab or fingertip to gently but completely cover the sore. It's been reported by some that this keeps the canker sore from ever developing into a fully open sore. By doing this several times a day, it might be possible to completely eliminate the canker and avoid days of pain and suffering. There are a few things you can do even if a canker sore develops into a large and painful sore. 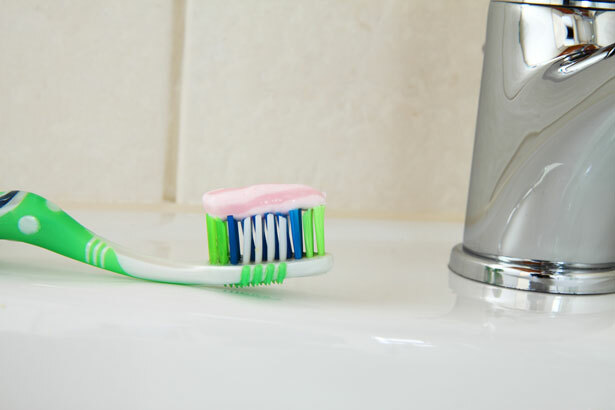 A common irritant in household cosmetic and oral health products is sodium laurel sulfate (SLS), a foaming agent used in toothpaste, shampoo, conditioner, and many non-household applications. Among those non-household applications are that it's an excellent decrease or four engines, floors, restaurant exhaust hoods, and detergents. It is a possible cancer-causing material. Avoid using any toothpaste with SLS, I can highly recommend one brand in particular. My daughter regularly got mouth sores until we switched to this brand. We now are using our Tea Tree Wonders toothpowder made with tea tree oil and other essential oils. Brush and floss your teeth regularly using a soft toothbrush, and add a few easy to find nutritional supplements to your diet. A higher intake of vitamin C, lysine, and essential fatty acids from fish oils like cod liver oil may help. Others have reported daily supplements with chelated zinc to be highly effective in avoiding canker sores.